Many reports have shown that due to the recession and the continuing poor employment figures that many have decided to start up on their own. In fact, more women are choosing to start up their own businesses than ever before. This could be down to the need for a second income or due to redundancy figures. Either way, if you have chosen to start up your own business how are you taking care of your data? When running a business from home it is important that you do everything properly. Here at DataSpace we have a few ways to help you. 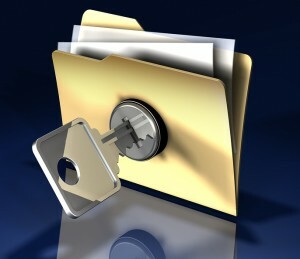 With no large servers or your own personal IT department it is essential that you are regularly backing up your data. Failure to do so could mean months of hard work is lost as well as essential client information. Don’t risk it. We offer a great range of back-up services that can help take care of this for you. Keeping all your files and paperwork at home is not only taking up room but it could also be a hazard. Should your home be the victim of fire, theft or accidental damage your paperwork may be damaged. This is a risk you can’t afford to take. Why not opt for an off-site archive storage facility? One that monitors your files 24/7 and has fire and theft security in place. If you have employees or clients that work remotely then you can take full advantage of the Brainloop secure dataroom service. This will enable you to communicate and share data and documents wherever you are in the world. Contact us today at DataSpace to find out how we can help you with your business. Put your data at the heart of your business and do all you can to protect it.